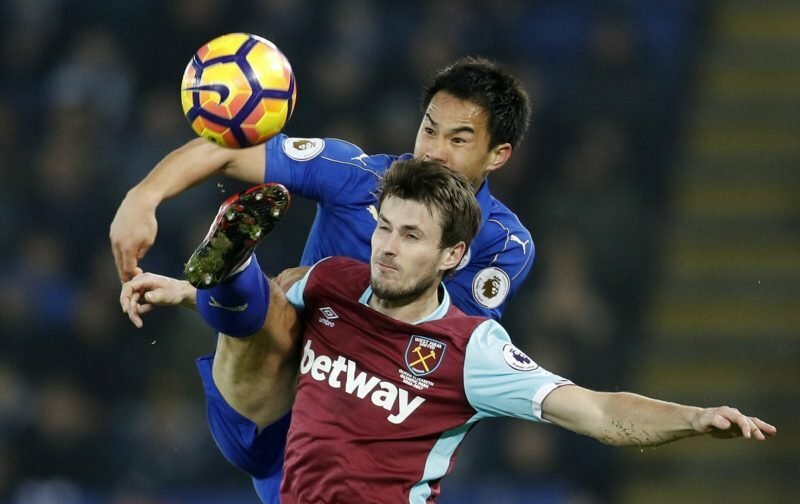 West Ham midfielder Havard Nordtveit has refused to rule out a return to the Bundesliga after a frustrating debut season in the Premier League, according to Dagbladet (via Tribal Football). The 26-year-old moved to the London Stadium last summer after five hugely successful years at German outfit Borussia Monchengladbach, in which time he managed 181 appearances for the club, and netted 12 goals. And there was much anticipation when he signed for Slaven Bilic’s Hammers 12 months ago, yet it just hasn’t worked out for the Norway international, who could only muster 11 Premier League starts for the club last term, and a handful of others in the domestic cup competitions. And it’s clear that things haven’t quite gone as Nordtveit was expecting in East London, and that has prompted him to refuse to rule out a return to Germany having been recently linked with the likes of Bayer Leverkusen, Hoffenheim, and Wolfsburg. He said: ‘It was not like I had envisioned it to be. ‘For now I let the speculation lie. I still have four years left on my contract with West Ham. These comments are sure to interest West Ham fans who rarely got to see the best of the 26-year-old last term, in what was a frustrating campaign for both the player and the club. Bilic’s men could only manage an 11th place finish in the Premier League, a far cry away from the side that earned seventh place the campaign before, and the Croat will be under pressure to improve their fortunes next time round. But whether Nordtveit will remain a part of the West Ham squad over the summer very much remains to be seen.